From hairspray to dry shampoo, it seems like the list of must-have hair products is always growing. And the next big thing? 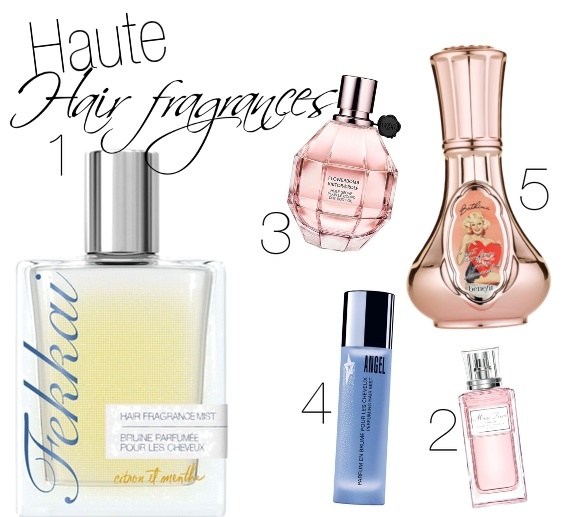 Hair fragrances. What could be better than sweet-smelling tresses? Designer sweet-smelling tresses, that's what. From Fekkai Citron et Menthe and Dior Miss Dior , to Viktor & Rolf Flowerbomb , Angel by Thierry Mugler and Benefit Cosmetics Bathina All Over Me, there's a show-stopping scent for every head of hair.